Take design – and then make it laidback. That’s what Audrie does. 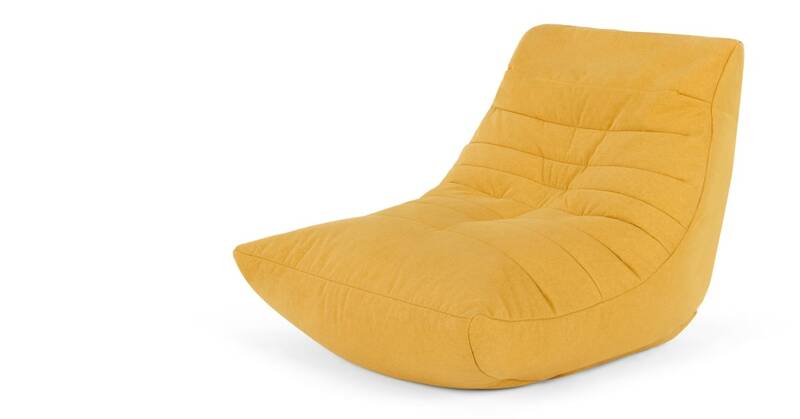 The perfect partner for bedrooms, living rooms or anywhere you need extra seating, this bean bag chair’s a must-have for when you’re feeling social. Audrie’s full of beans. This makes it a lightweight and comfortable seat that’s easy to move and place where you like. You’re guaranteed to want to relax in it all day, so it’ll need a shake after to keep its stylish shape. What’s your style? With Audrie, that’s not a concern. Choose from marl grey, yolk yellow or mineral blue to refresh your space. And if you’re feeling sophisticated, there’s an Audrie in vintage gold velvet to lay back on.